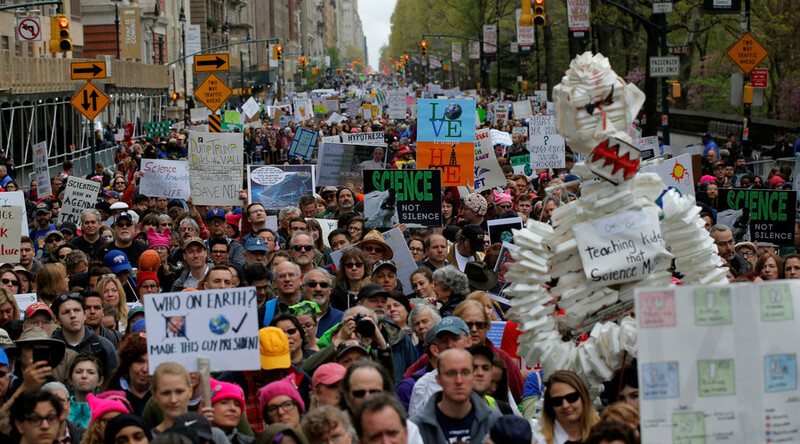 Thousands of people around the world are taking part in the inaugural March for Science as part of this years Earth Day celebrations. In over 600 cities, from Washington to Sydney, scientists and science enthusiasts are marching in what is seen as a global response to anti-science, climate change-denying rhetoric and policies from governments around the world. The main event is scheduled to begin in Washington DC at 10:00am local time, Saturday. A livestream of the Washington event is available below. March for Science is coupled with Earth Day 2017, which since its inception in the US in 1970, has gone global with millions of concerned Earthlings marching each year on April 22 to raise awareness about issues affecting the planet.